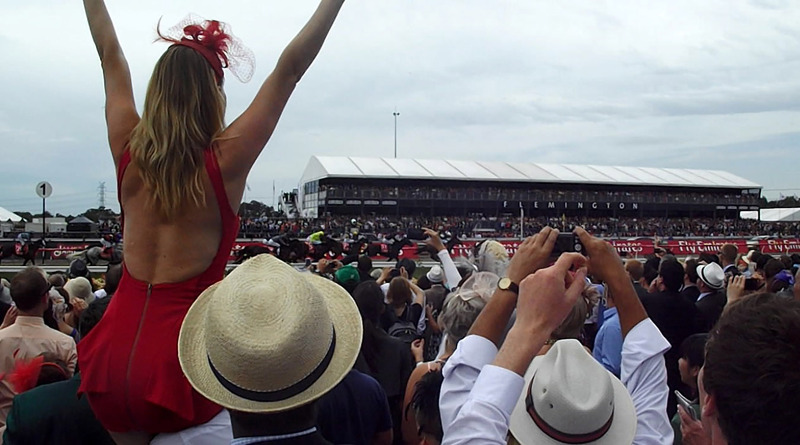 The great sporting days out include meat pies at the AFL, a couple of cold beers at the NRL, chanting at the A-League or a long day at the cricket, but no other sport has as many venues, or attendees, as the horse races. Ever since Australia’s first race meeting was run in Sydney’s Hyde Park in 1810, the sport of king’s has been intertwined deep within the Australian culture. Through the words of Banjo Patterson, and with legends such as Phar Lap holding pride of place in our history, a day out at the races is truly a national pastime.. Heavily dine and heavily sup, Of indigestible things fill up, Next month they run the Melbourne Cup, And I have to dream the winner. Trackside fashions are almost as keenly observed as the horses themselves, so it is well worth putting a little thought and effort into the day’s attire. Trends vary with the racing seasons with the big Spring and Autumn carnivals in Melbourne and Sydney being the pinnacle for glamour. A race day outfit doesn't have to be a chore though, a simple mix of style and class is always a safe bet. You can't go wrong with a smart suit and tie for gents, or a pretty dress for ladies, with a head piece or hat if you have one. One long standing racetrack tradition always worth remembering is the Black and White theme for Derby Day in the Spring. Summer time racing brings out the colours and remember a jacket in winter, a day at the races can often end in the wee hours of a Sunday morning! Getting to and from the racetrack for a weekend meeting is a breeze. All major racetracks have public transport options and there is usually plenty of free parking for the designated drivers. Sydney Racing - Royal Randwick is just a stone’s throw from Sydney city and busses run regularly from Circular Quay and Central Station. Rosehill and Warwick Farm have train stations, and there are lots of transport options for Canterbury. Melbourne Racing - Flemington and Caulfield also have the luxury of their own train stations at the door, with both just a short journey from the heart of the city. The best bet for Moonee Valley is the tram. Hop off at Moonee Ponds at you are a two minute walk from the entrance. During carnival season, things can get a bit busier though so an early start is worthwhile. Finding a good spot at the track is the first priority when you arrive. If it’s a social day, then out on the lawn with an umbrella can provide the perfect base, and close proximity to a bar won’t hurt either! If a glance at The Race Guide has given you an interest in the horses, you may want to position yourself near to the mounting yard to view the horses prior to each race. Or a spot right by the track can provide a dash of excitement, the thundering sound of hooves as the thoroughbreds power up the straight is an amazing spectacle. Backing a winner at the track is a great thrill. After a look at the horses and a little help from The Race Guide it might be time to brave the betting ring. The bookies are no longer the mean looking men who will do anything to get your money. Today’s bookmakers are all about customer service and they will all be happy to take a dollar or two each way on your fancied runner. Simply wander over and state your bet and with a bit of luck you’ll be returning to collect your winnings 5 minutes after the race. (see Horse Racing Theory for more detailed betting info). 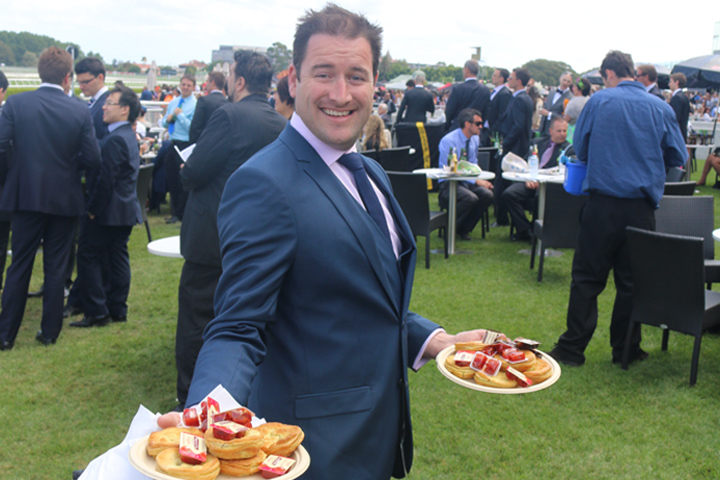 It is best to remember that a day at the races can be a long day out! Making it to the finish line in one piece requires a steady approach, so best not to race through the wine or bet too big on the first favourite! The beers will be cold all day and there are often eight or more races to have a bet on. A quick list of the top tips for an enjoyable day. 2. Pace yourself on the champagne and start with lunch! 7. Give your horse a huge cheer if they win! 10. Remember the stories, a day at the races is full of them!